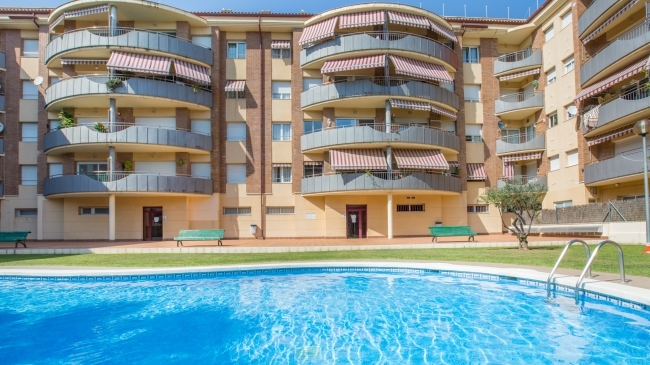 Large apartment located in Llafranc, 500 m from the beach and the center of the city. First floor without elevator. 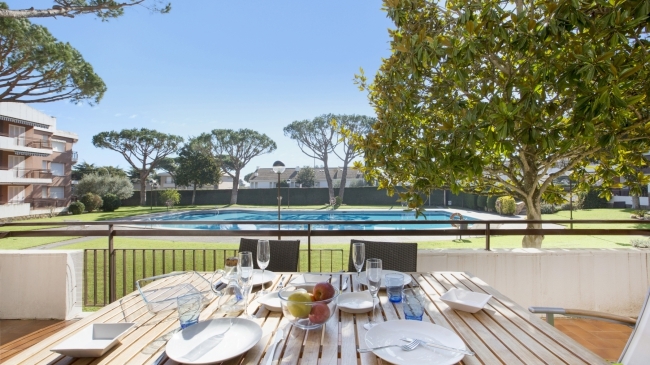 Located within a residential area comprising gardens, swimming pool, tennis court, basketball /soccer field and children's area. It has 4 bedrooms (2 with double bed of 150x190cm and 135x180cm, 1 with bunk beds of 90x190cm and another with a triple bunk (90x190cm) + a double bunk (90x150cm and 90x190cm)), 2 renovated bathrooms with shower + 1 toilet, 1 large living room (TV) with access to a large terrace overlooking the sea and the pool, kitchen (gas stove, oven, microwave, dishwasher), washing machine located on a small balcony. Garage. 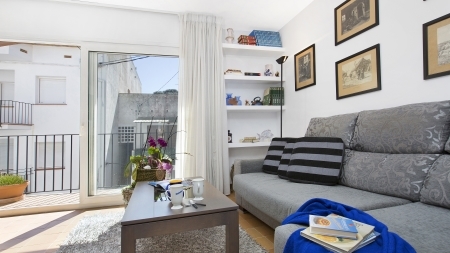 Modern style apartment located in Llafranc just 100m from the beach and the center. First floor without elevator. 2 double bedrooms (1 double bed (140x200cm), 1 trundle bed (80x180cm)), 1 bathroom with bathtub + 1 toilet, small but equipped kitchen (ceramic hob, oven, microwave, dishwasher), living-dining room (fireplace, TV) with exit to a small balcony. WIFI included. 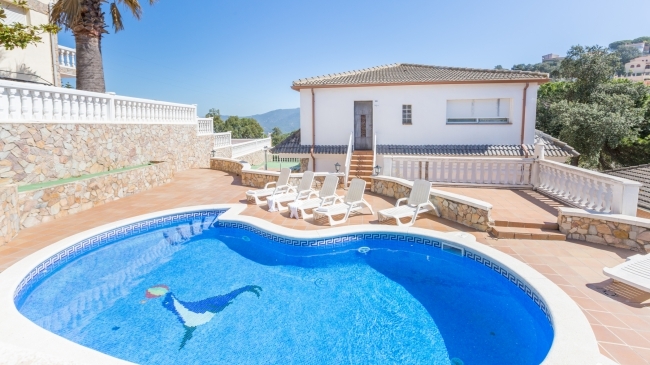 Apartment duplex very cozy, in the quiet area of Feenals (Lloret de Mar), near a cala Sa Boadella and a woderfull gardens Santa Clotilde. The apartment is distributed in two floors: on the main floor you can find a living room (TV) and dining room with exit to the terrace (views to the pool), equipated kitchen (washing-machine, microwave) open to living room; two double rooms, (one with big bed of 150x190cm and one with two small beds of 90x190cm; one bathroom with bath. On the upper floor there is an open area giving access to a small terrace. With shared gardens and swimming-pool. Garage for 1 car, air conditioning, both of them not included in the price. Extra cost of 50€/week in case of use. IS ONLY RENTED TO FAMILIES. PETS NOT ALLOWED.